Whether you like your burgers flamed grilled, topped with an oozing stack of melted cheese, or finished with roasted poblano peppers for a touch of Southwestern flair, there’s no denying that nothing tastes quite as perfect as a birthday burger. Unless it’s a FREE birthday burger, of course. Here in the Valley, we love to put our own spin on these classic culinary masterpieces, adding hatch green chili sauce, sweet and spicy braised onions, or a heaping stack of fried eggs and bacon. No matter how you like your burgers, be sure to mark the calendar this year for FIVE FREE birthday burgers. Even better? Many of these great deals are valid throughout your birthday week – or the entire month – so you don’t have to cram five delicious burgers into a single day. (Although we’re not judging if you do!) Plus, with great buy-one-get-one BOGO deals, all your friends and family can get in on the juicy goodness, too. Who doesn’t love an American Classic Burger, especially when it’s FREE. You get a free burger for signing up with Johnny Rockets and another free burger on your birthday. With four convenient locations throughout the Valley, you’re never far from a classic, all-American burger, shakes and fries. On your birthday, you’ll receive a special coupon to enjoy a burger for FREE with the purchase of any entree and drink. Is your birthday still a few months away? No need to despair– you’ll get a FREE hamburger coupon just for registering. To redeem on your birthday, just purchase an entree and drink. We suggest you wash it all down with an original hand-dipped and hand-spun malted shake. How to get this deal: Sign up online and register for the Rocket e-Club. 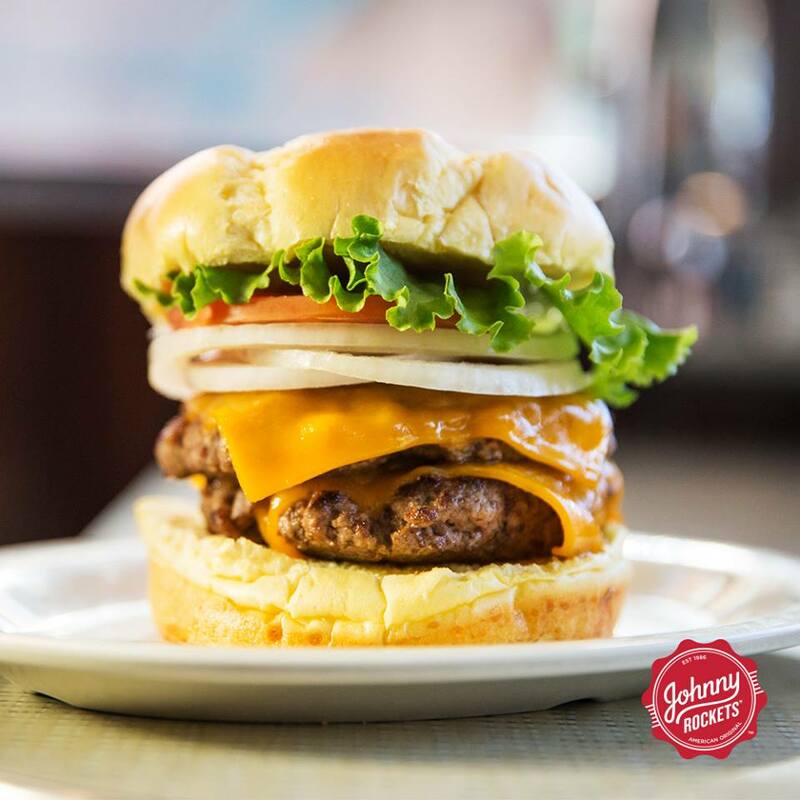 Visit any Johnny Rockets location to redeem. The Valley is home to four: Arizona Mills, Scottsdale, Westgate City Center and Deer Valley Shopping Center. 2. Red Robin. Craving something a bit more exotic than a standard grilled burger with lettuce and tomato? During your birthday month, choose from over 24 fire-grilled gourmet burgers like the Burnin’ Love with fried jalapeños and chipotle aioli, the Guacamole & Bacon complete with a stack of melted Swiss goodness, and the Banzai with glazed teriyaki and grilled pineapple. Your burger reward will be automatically loaded onto your account the first day of the month of your birthday and may be redeemed once during the entire month using either your registered Royalty card or your phone number. You’ll receive an email notification once the reward is loaded on to your account. How to get this deal: Sign up online and register for the Red Robin Royalty rewards program. Visit any participating Red Robin location during the month of your birthday to claim your free burger. There are 15 Red Robin locations in the Phoenix metro area. 3. Ruby Tuesday. 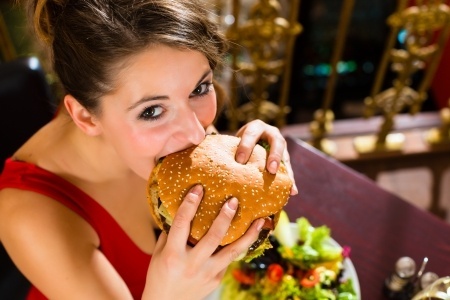 Get ready to go big on your birthday this year with a FREE burger from Ruby Tuesday. While you can choose from any of their classic combinations, we’re partial to the Colossal Burger made from 100% USDA Choice beef stacked on a triple-decker toasted brioche bun with cheddar and Swiss cheeses or the Smokehouse Burger with New York cheddar, bacon, tangy barbecue sauce and crisp onion rings. No need to rush the celebrations: your FREE birthday burger coupon will be valid for five days before your birthday and nine days after your big day. It’s good for any burger up to $11 in menu value. How to get this deal: Sign up online by joining Ruby Tuesday’s “SoConnected” rewards club. When you register, you’ll also get a coupon for a FREE appetizer that’s valid for 14 days. Your birthday burger coupon will be emailed in advance of your big day with a unique code for redemption. Visit any participating Ruby Tuesday location to redeem. The Valley is home to four Ruby Tuesday locations: Ruby Tuesday of 44th Street & Washington, Ruby Tuesday of Tempe Marketplace, Ruby Tuesday of Avondale Blvd, and Ruby Tuesday of Santan in Gilbert. Burger King and McDonald’s each have apps that include a burger freebie. Burger King gives you a BOGO Whopper while McDonald’s gifts you a totally free Big Mac or Quarter Pounder. 4. McDonald’s. Who doesn’t love some Mickey D’s on their birthday? When you download the McDonald’s app, you’ll get a coupon for a FREE Large Sandwich with any purchase. Also present when we downloaded the app were BOGO deals for a Quarter Pounder w/Cheese, Large Fries, a McCafé Beverage and a Breakfast Sandwich. You can save these deals to redeem on your birthday or anytime during your birthday month when you need a little pick-me-up. We’re lovin’ them! How to get this deal: Download the McDonald’s app for instant access to these great coupons and BOGO deals. 5. Burger King. Last but not least is America’s king of burgers! 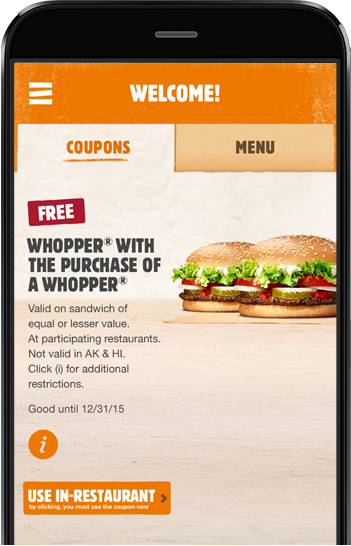 When you download the Burger King app today you’ll get a BOGO coupon valid for a FREE Whopper or a FREE Croissan’wich when you buy one. When we downloaded the app, we scored 13 total coupons including a Classic Grilled Hot Dog for $1 and a French Toast 5 piece serving for $1. You can save these instant burger deals to use until your birthday or start cashing in the coupons immediately. Spread the love and tell your friends to download the app, too! How to get this deal: Download the Burger King app for instant access to these BOGO deals and coupons. Be sure to read Top 15 Free Birthday Meals in Phoenix for our selection of the best breakfasts, lunches and dinners to enjoy during your birthday month.